Caring for a family member is not always possible because it can conflict with paid job opportunities. However, there are a few ways you can get paid to care for a loved one in his or her home so you can fulfill your family and financial obligations at the same time. Each state and every family caregiver program has specific eligibility requirements that may be different from another. Start with a search tool like the one from Paying for Senior Care to begin a broad search of programs you might qualify for in your area. To use the search tool you'll need information about the person you hope to care for including his or her annual income and assets value. You can also contact your local Agency on Aging for more information and help. Anyone who qualifies financially to receive Medicaid and is signed up for a plan can choose to participate in the Self-Directed Services. One of the many choices individuals can make is who provides their care. Specific regulations vary by state, but each Medicaid customer who chooses this route will have a support counselor to help make decisions and understand the process. Family caregivers are paid a standard rate of ten to twenty dollars per hour. There are four basic programs through Medicaid and at least one of them is available in every state. Individuals need to check with their local Medicaid office to check eligibility and start the process. Organizations that help specific populations sometimes offer programs that allow family members to become caregivers. If your loved one is a military veteran, was a victim of a specific incident, suffers from a certain illness, or fits into another small category of people, you can check with charities and organizations that work with that population. Military personnel who suffered a qualifying injury anytime after September 11, 2001 can benefit from the VA Family Caregiver Program. Eligible family caregivers include parents, spouses, and extended family members, but cannot be a person who provides financial support. Veterans can contact their local Veterans Affairs office for more information and must be enrolled in the VA healthcare program. Caregivers earn a monthly stipend in addition to other services like access to health insurance, caregiver training, and counseling services. Once you've found a program that matches your loved one's circumstances, the person will need to apply. The process can be confusing and lengthy, so enlist the help of a professional whenever possible. If you will be paid directly by the insurance company or organization, you will probably need to provide personal information as you would for any other job. As soon as you are approved as a family caregiver, set up a work schedule that meets your loved one's needs. Create a calendar with days, times, and duties that you each have a copy of. As you work with your family member, be prepared to adjust your services as needed. No one cares for you quite like your family. As relatives it is your duty to love and help each other in times of need, but it can also become your paid job. 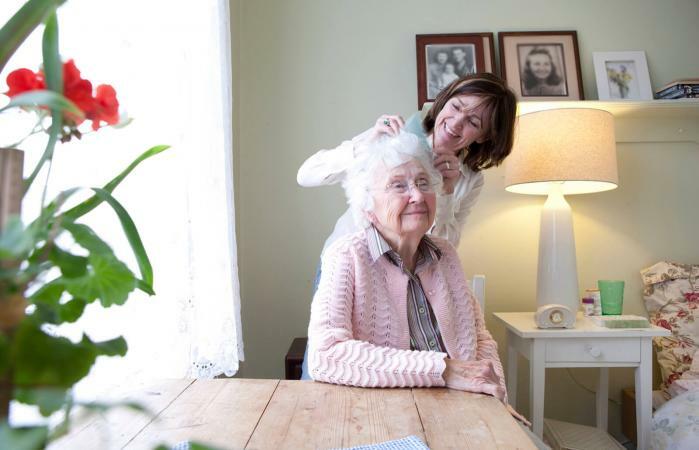 When you become a caregiver for a family member, you give them the help they need in a comfortable setting without sacrificing your own life and assets.